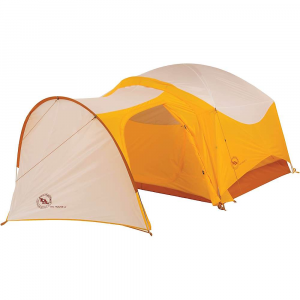 MSR's Gear Shed is a versatile new accessory that adds increased livability to any existing Hubba or Hubba Hubba tent, transforming a lightweight backpacking tent into a park and play or basecamp tent. The add-on hoop-style vestibule adds 26 square feet (2.5 sq. m) of space and features a partial floor to provide a clean place to store gear. Visit MSR's Gear Shed page. 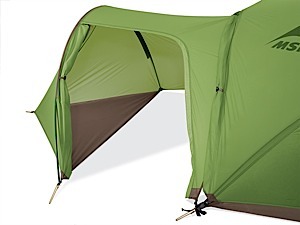 If you want to turn your backpacking tent into a basecamp shelter, deck it out with the MSR Elixir Gear Shed. 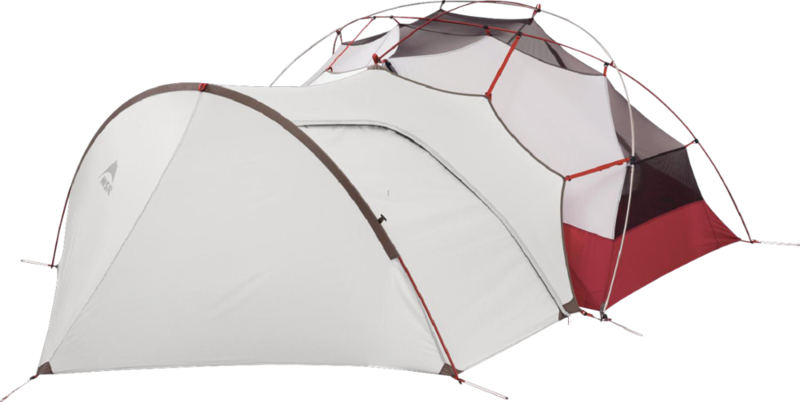 Compatible with MSR's Elixir 2 and 3 tents, this ripstop polyester vestibule is treated with PU, silicone, and DWR treatments, so it'll keep your gear dry and happy while you enjoy all the extra space that comes with keeping packs and shoes in their own shelter. 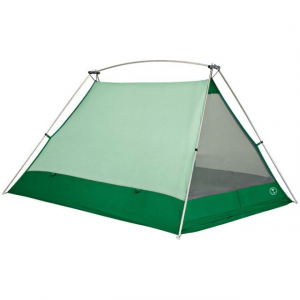 MSR Gear Shed Vestibule- Turn your backpacking tent into a basecamp tent with the MSR Gear Shed Vestibule. This hooped vestibule provides additional storage space to increase livable space in your tent. A partial floor keeps gear dry and clean, while the integrated design and large door allows for easy access. MSR Camp & Hike Gear-Shed 10314. 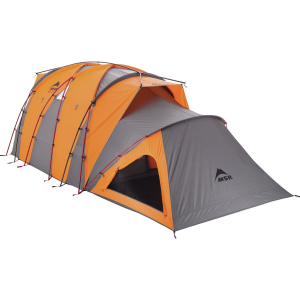 46 sq m (26.5 sq ft) of covered storage space to your tent increasing its livability and giving you the versatility to make one tent do it all.Added Storage: Hooped vestibule expands weatherproof storage.Integrated Floor: Partial floor creates a dry clean place to store gear out of the way.Versatile: Turns your backpacking tent into a basecamp tent.Convenient: Extra-large door and integrated design allows convenient covered access to gear.Compatibility: Not compatible with Elixir 4 or Papa Hubba tents.